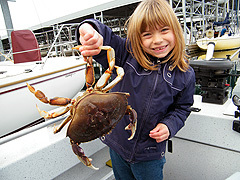 Starting in May of each year we begin offering bottom fishing trips. 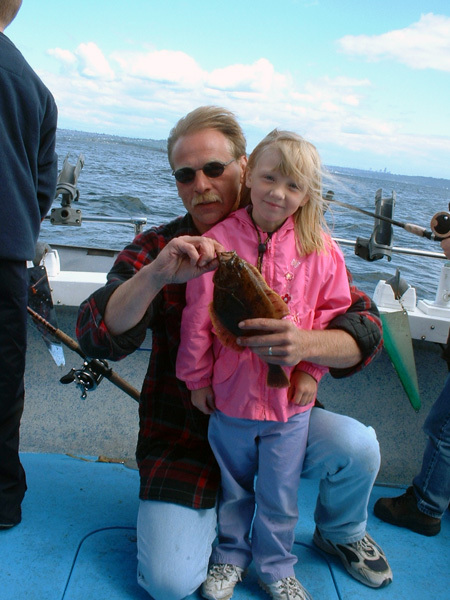 Puget Sound flatfish, generally called flounder, exist in enormous numbers in our local waters. There are 23 different species. The bulk of our catch is Pacific sand dab followed by rock sole. Related to halibut, both species are excellent eating. Sand dabs are considered to be better than halibut by some and served at high end restaurants on the west coast with a few restaurants in California specializing in sand dab. Though not big, maximum size is about 2 pounds, we have LOTS of them and the limits are liberal at 15 total bottom fish. These fish migrate from deep water into the shallows in late spring, are aggressive feeders that prefer specific habitat. We are experts at finding and keeping you on a good bite. 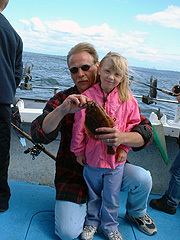 With lots of action this type of fishing is a good choice for kids, they will be successful on their first trip. No need to get up early in the morning for a rewarding flounder trip, the middle of a bright sunny day works just fine! A quick google search will provide a plethora of sand dab recipes. 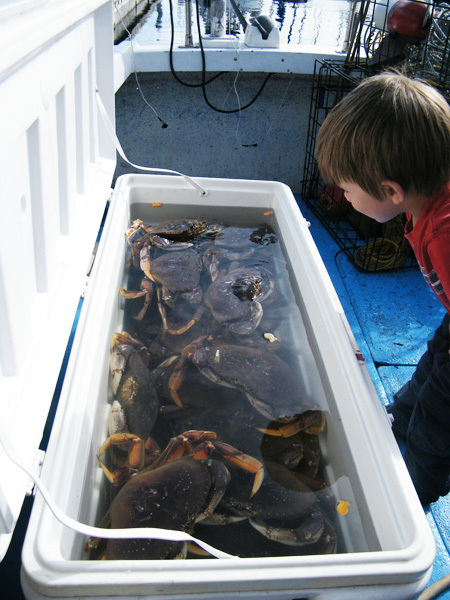 Some other species that are occasionally caught while targeting flatfish include skates, sculpin, and small sharks that make for an interesting mix. Crabbing is available on select days only. Children under 15 do not need a license to fish for bottom fish but they do need a catch record card for crabbing that can be obtained free. Due to sheer numbers of fish we do not clean or fillet your catch of flounder. We will give you instructions and you will need to have a place to do this.